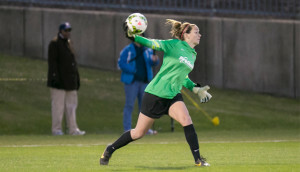 The Washington Spirit has re-signed goalkeeper Kelsey Wys to a new contract for the 2016 National Women’s Soccer League (NWSL) season. Per team and league policy, terms of the deal were not disclosed. Wys, 24, started eleven games for the Spirit in 2015. The Coral Springs, Florida native made 35 saves and recorded three shutouts. Before that, Wys played at Florida State University where she holds 17 program goalkeeping records, including minutes played (8,518), wins (74), shutouts (45), and starts (96).